SET INCLUDES: 4pcs Beauty sponges & 1 Contour brush with a protective case. The soft feeling foundation sponge is suitable for all kinds of cosmetics. MAKEUP SPONGE: Cosmetic sponges with oval-shaped flat bottom are all made from Latex-free material. Always give you gorgerous makeup application. CONTOUR BRUSH: Unique curved bristles seamlessly contour, highlight, shade & blend any cosmetics. With a protective plastic case, especially good for travel use. DRY & WET USE SPONGE: Dry use for powder, blusher, shadow. Wet use for BB cream, concealer, etc. Use the flat end for larger areas (like forehead & cheeks), point end is for targeting small areas. 100% Money Back Guarantee for any dissatisfaction. BEAKEY-US TRADEMARK REGISTRATION NO.5280096. Only sold by BEAKEY. 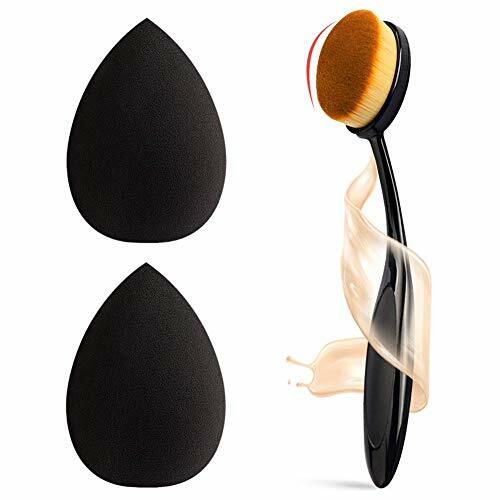 THE SET INCLUDES: Black 3 pieces of beauty sponge + 1 contour brush, make-up sponge soft fit on the face skin and suitable for any cosmetics, the contour brush is very soft, easy to clean and easy to carry. MAKEUP SPONGE: Multi-functional cosmetic sponges are made from latex-free antibacterial foam that help fight bacteria. Designed to be sensitive enough to allergies, they are made of dense elasticity to ensure long-term use, use the shape of a gourd, to fit all areas around your face, even the nose, the skin around the eyes, and you can create a perfect look easily. CONTOUR BRUSH: Unique curved bristles blend any product, and it is suitable for facial grooves. Blended and flawless. It can evenly apply makeup powder, cream, lotion, nose, face or neck without any traces of brush. DUAL-USE DRY OR WET: Dry: Dipping powder products, such as foundation, loose powder, etc. It can be dyed directly, and then flutter on the face. Moist: Suitable for milky white or creamy products, such as BB cream, lotion, concealer, etc. It can be immersed in water first, otherwise it will absorb a lot of cosmetics, resulting in waste. DESCRIPTION: BEAKEY-US Trademark Registration No.5280096. 100% refund guarantee. Plz identifies the legal BEAKEY product with a special BEAKEY brand logo on the packaging. Sold by BEAKEY SELLER only, any other package without the BEAKEY brand logo is fake. 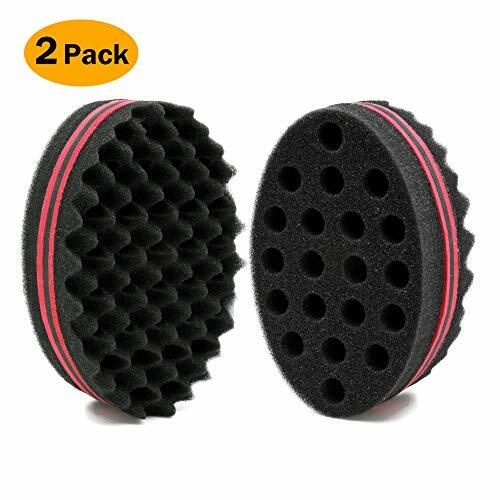 SET CONTAINS 2 Pcs black makeup sponges with a professional makeup foundation brush. 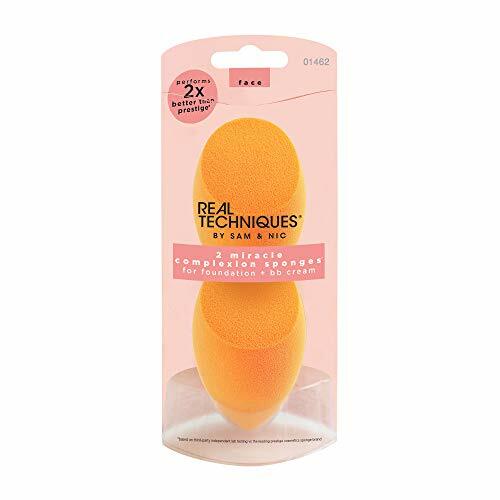 The beauty sponge that softens to the skin and creates a beautiful look quickly, that does not absorb too much powder and liquid foundation and it's suitable for any cosmetic. 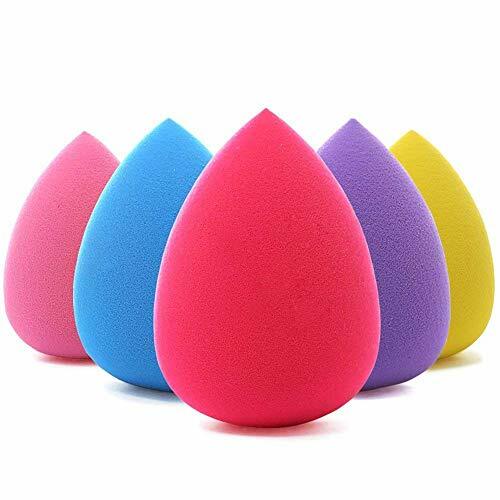 EXQUISITE QUALITY: A drop-shaped multi-functional cosmetic sponge made of no-latex foam A drop-shaped multi-functional cosmetic sponge made of no-latex foam and they are made of dense elasticity to ensure long-term use. they are made of dense elasticity to ensure long-term use. Use a rounded side to blend a large face with a tapping motion; the precision tip covers the cymbal. 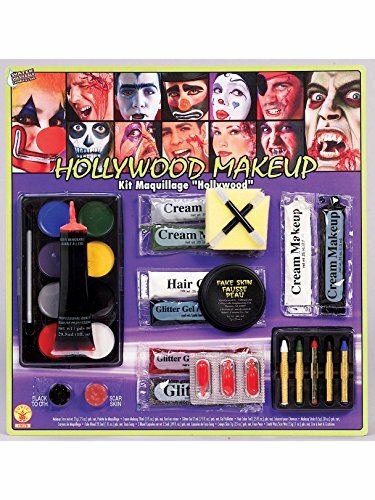 It can be used with foundations, cream blush, primer, powder and other cosmetics, to dress up beautiful makeup quickly. THE SPECICAL DESIGN OF BRUSH: The most fashionable design "Toothbrush Shape" high-quality synthetic hair, excellent powder gripping ability, care for your skin with a soft, silky, easy-to-maintain makeup brush, bring a sense of luxury, suitable for professional use or family. SPONGE WET OR DRY DUAL-USE: 1.Dry: Dipping powder products, such as foundation, loose powder, etc.It can be dyed directly , and then flutter on the face. 2.Wet: Suitable for milky white or creamy products, such as BB cream, lotion, concealer and so on , first, it can be inimmersed in water , otherwise it will absorb a lot of cosmetics and cause waste. ATTENTION: BEAKEY-US trademark registration number 5280096. 100% money back guarantee. Please identify the legit BEAKEY products with special BEAKEY brand logo on package. ONLY sold by BEAKEY SELLER. 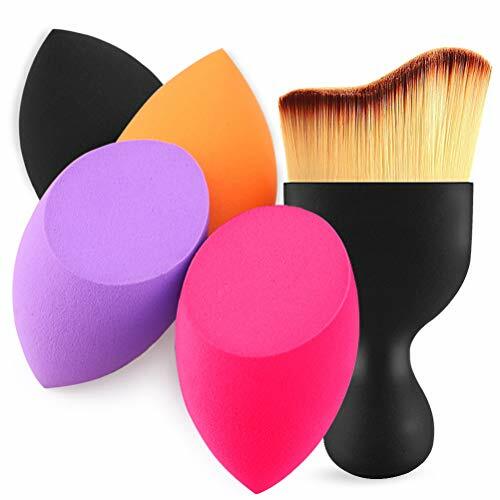 SET CONTAINS: Multi-colored 4 pcs makeup sponges with 1 pc blush brush. Makeup sponges for all kinds of cosmetics, foundation, BB cream, powder, concealer, isolation, liquid etc. HIGH QUALITY MATERIAL: It's made from non-latex material, soft feeling, well bouncy beauty sponge, easy to distinguish. PORTABLE MAKEUP COSMETIC TOOL: This kabuki brush Made of super soft and comfortable Synthetic fiber hair , So soft , blend your makeup effortlessly and beautifully . Bold Handle easy to hold. easy to carry,mesh protector included for safe storage, suitable for professional use or home use. PERFECT APPLICATION: dab it evenly to form a gorgeous makeup. ATTENTION: BEAKEY brand Registered number is 5280096.No authorization to any other sellers till now except seller name"BEAKEY".100% money back guarantee. Buy with confidence and you will love it. 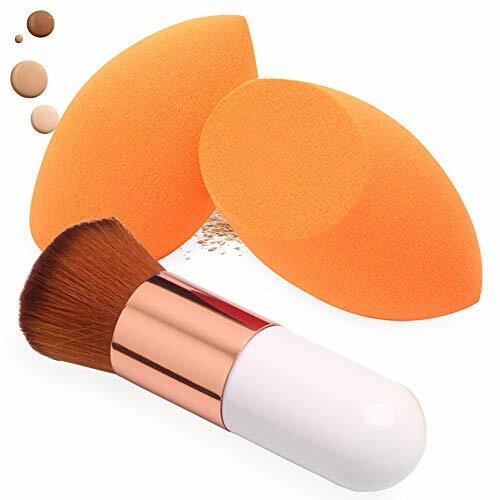 SET CONTAINS: BEAKEY 5+ 1Pcs makeup sponge with a small pocket makeup mirror, makeup sponge soft fits on the face skin and its suitable for any cosmetics, small and delicate pocket mirror is the necessary choice to go out. EXQUISITE QUALITY: Gourd-shaped multi-functional cosmetic sponges are made from latex-free antibacterial foam that help fight bacteria. Designed to be sensitive enough to allergies, they are made of dense elasticity to ensure long-term use, use the shape of a gourd, to fit all areas around your face, even the nose, the skin around the eyes,and you can create a perfect look easily. MAKEUP MIRROR SPECIAL DESIGN: The corner is designed in a circular way to make it easier to grasp and pull out the fingertips. Made of stainless steel, it eliminates the tension and related problems in broken glass mirror. After a sturdy scratch-resistant coating treatment, it can be used for a long time to meet daily makeup and beauty needs. SPONGE CAN WET OR DRY USE: Dry: Dipping powder products, such as foundation, loose powder, etc. It can be dyed directly, and then flutter on the face. Moist: Suitable for milky white or creamy products, such as BB cream, lotion, concealer, etc. It can be immersed in water first, otherwise it will absorb a lot of cosmetics, resulting in waste. ATTENTION: BEAKEY-US Trademark Registration No.5280096. 100% refund guarantee. Please identifies the legal BEAKEY product with a special BEAKEY brand logo on the packaging. Sold by BEAKEY SELLER only, any other package without the BEAKEY brand logo is fake. 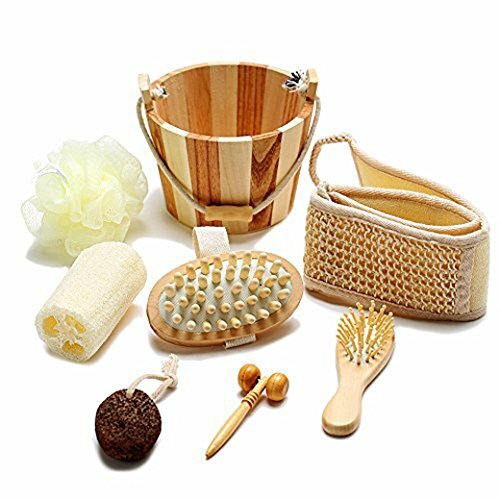 SET CONTAINS:12 pcs bamboo makeup brushes & 1 brush egg & 1 cloth bag. 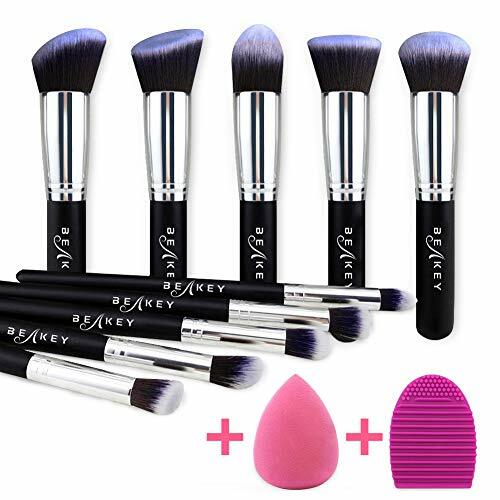 USE OF MAKEUP BRUSH:Makeup brush set performs well with BB cream, liquid, powder and foundation, includes foundation brush, eyeshadow brush, powder brush, etc, give you a flawless and natural makeup application. 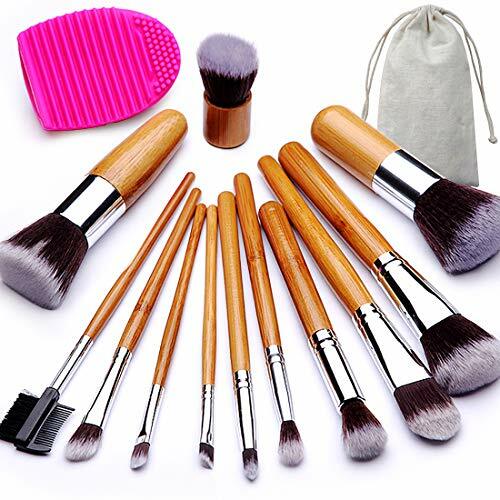 HIGH QUALITY MATERIAL:The handles are made of high quality and fine texture bamboo while the bristles are made of high density and soft synthetic hair, easy to control and no shedding problem. EASY FOR CLEAN:The brush cleaner with knobs is made from silicone material, very useful tool for cleaning brushes. ATTENTION: BEAKEY-US trademark registration number 5280096. 100% money back guarantee. Please identify the legit BEAKEY products with special BEAKEY brand logo on package. ONLY sold by BEAKEY SELLER. Refer to the 7th main pic for real BEAKEY PRODUCTS. Any other without BEAKEY brand logo on packages are all fake ones. ◆ COMPLETE SET OF ESSENTIAL MAKEUP BRUSHES FOR PROFESSIONAL USE OR HOME USE. Perfect makeup brush kit for liquids, powders or creams, creating the seamless natural makeup application. ◆ NON-LATEX BEAUTY SPONGE WITH TEARDROP SHAPE. Use the flat bottom for forehead & cheeks, pointed end is for targeting small areas. 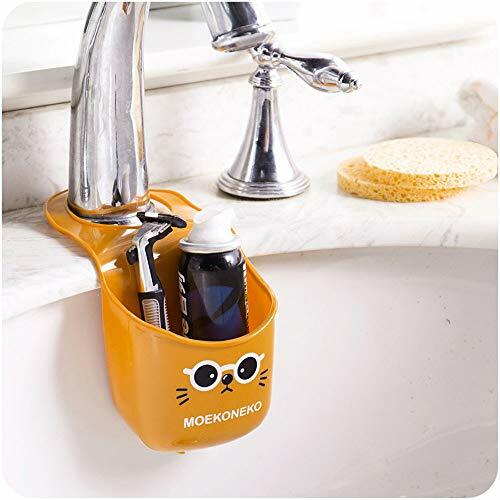 ◆ MAKEUP BRUSH CLEANER EGG. The tiny granules parts are designed for cleaning small makeup brushes while the stripes are for larger ones. Compact size (1.35*0.25 in) is perfect for traveling use. ◆Attention: BEAKEY-US trademark registration number 5280096. 100% money back guarantee. Plz identify the legit BEAKEY products with special BEAKEY brand logo on package. ONLY sold by BEAKEY SELLER. Refer to the 7th main pic for real BEAKEY PRODUCTS. SET CONTAINS: 2 orange makeup sponges + 1 premium foundation brush. EXQUISITE QUALITY: Functional makeup sponges are made from non-latex material, which can be used for all kinds of cosmetics. PORTABLE MAKEUP BRUSH: The brush is made from soft and comfortable synthetic fiber hair, non-hair removal, create your makeup perfectly. The handle easy to hold, mesh protector can protect the brush well, suitable for professional or home use. 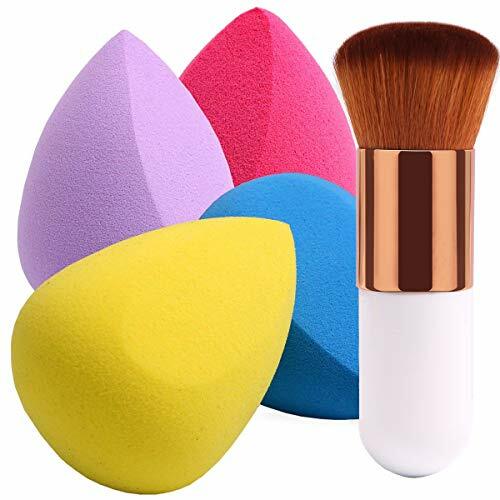 PERFECT APPLICATION: Makeup sponge blender can dry or wet dual use, it can turn bigger when to soak it, and squeeze dry to use it can avoid the waste of cosmetics. And use with blush brush to create a more perfect makeup look. ATTENTION: 100% money back guarantee. ONLY sold by BAIMEI SELLER. Buy with confidence and you will love it. 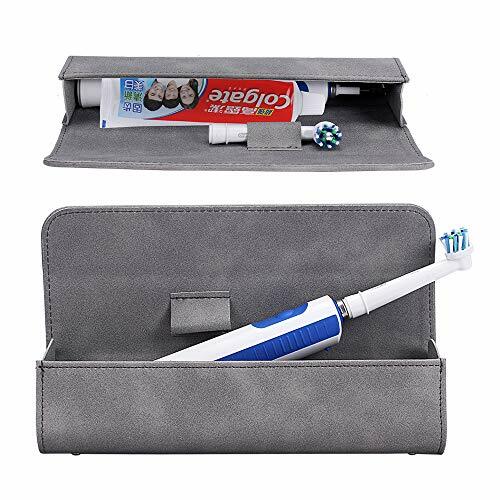 PERFECT FIT: MASiKEN Eletronic Toothbrush travel case fits your Oral-B Pro 1000/2000 / 2500/3000 / 4000 /1500/5000, Oral-B 7000, Philips Sonicare ProtectiveClean 4100, Sonicare 4100 and more. NO SMELL ENVIRONMENTALLY MATERIA: Made of DURABLE PU material and no smell environmentally material, that is Light weight, shockproof and waterproof, keep the oral health, instead of the hard eva eletronic toothbrush case. COMPACT SIZE: Lightweight and mini design make the travel more convenient, easy to carry for travel, office, outdoors, hiking and home, perfect size 8.5 x 2.55 x 1.6inches. NO RISK BUYING: Any problem about the quality of MAKiKEN eletronic toothbrush carrying case, we will resend or refund to you. Pumice Stone: Pumice stone provides a natural way to remove calluses on your feet and elsewhere, and also to do a whole-body exfoliation that will leave your skin looking fresh and youthful. The loops of cord allow you to hang the pumice stones to dry; an important part of caring for your pumice stones. Massage Dry Brush: Massage Dry Brush can increase blood running, promote skin metabolism. You blood vessel will get ful expansion for the friction between brush and skin, thereby speeding up blood circulation and reducing muscle tension. Body relaxed, fatigue vanished, and sleep quality improveYou will become more healthy and powerful after using it for a long time. Amazon The Flat Lay Co. 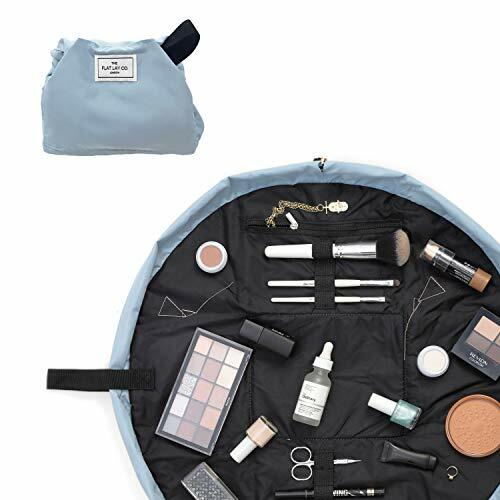 MAKEUP BAG + COSMETICS MAT - opens flat in seconds with a drawstring and doubles as a padded cosmetics mat to protect your make-up from countertops. PERFECT FOR TRAVELLING - pack up in seconds with no need for organisation! You don't need to spend time sorting when you can see all your cosmetics instantly. POCKETS & BRUSH HOLDERS - zippered interior pocket which is great for storing little things like jewellery, or for keeping sponges clean. Four elastic brush holders inside for brushes or tweezers, and two large outer pockets with velcro to close. ON THE GO - if you're in a hurry you don't even have to open the bag fully- just pull the drawstring half way and grab what you need! That also works great if you don't have much counter space. CUTE WHEN CLOSED - The bag can also be fastened to give it more structure- simply put the velcro from the outer pockets together to create a more barrel shaped purse. You can also store the drawstring in one of the outer pockets to keep it tidy! 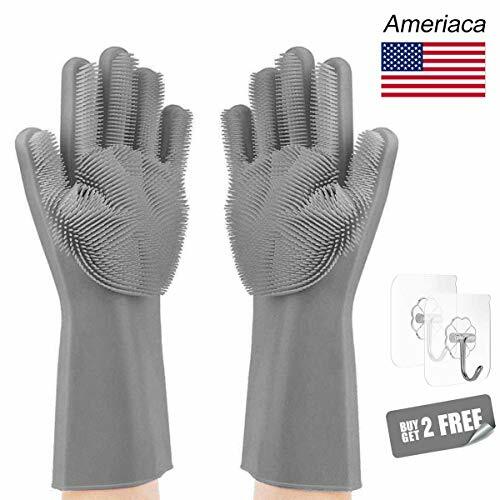 Long Gloves with Scrubbers: Kitchen gloves with 16-inch ex-long waterproof sleeves to prevent hands and arms skin contact with corrosive liquids, clean kitchen utensils, fruit & vegetable, car washing, windows, cleaning indoor health, care for pet hair(just like pet grooming glove), removing wardrobe dust. Perfect brush tool for cleaning hard-to-reach areas and easy to store with hook design. Eco-Friendly & Safe: Quality assurance, the best dishwashing scrubbing gloves is made of high-quality and food grade silicone. The surface of the gloves is very dense and has high adsorption performance. Take it to clean anywhere with ease. Pick up rich foam and easy to remove stains. Speedy natural drying, No Bacteria, No Deformation, No Residue. BPA-Free, FDA-Approved, LFGB Standard. High Temperature Resistance: This silicone scrubbing dishes wash gloves can withstand high temperature up to 320°F/160°C and low temperature. The end bowl insulation gloves can easily take eggs in hot water. Super easy to clean, supports machine washable. Naturally antibacterial since it is not porous like regular sponges and cloths are.With silicone dish scrubbers, no more stinky bacteria-laden sponges! Anti-slip design: The bump design in the inner layer of the glove produces moderate friction, never worry to slip, which makes the cleaning inconvenient and more flexible operation. 35 * 15 * 12.5 cm More comfortable and resilient American size gloves.✔1 Pair : Left + Right. Not sticky, compared to the traditional Latex Gloves,our creative brush gloves is more durable, quality assurance, tear resistant and eco-friendly design! ❤️ Eight Cleansing Brush Heads: Includes eight different brush heads-- a full range of cleansing brushes and sponges, exfoliating pads, massaging head and pumice stone head. Ideal for deep cleansing of face and body. 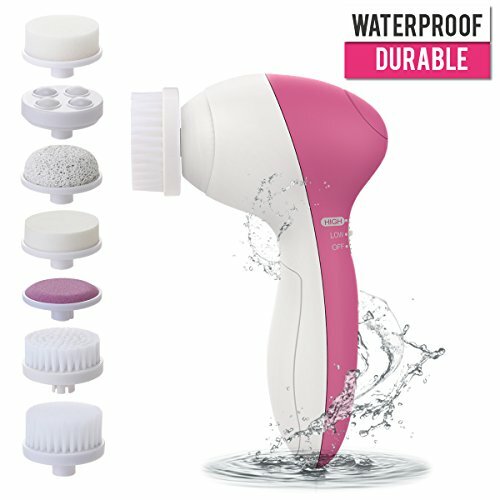 ❤️ Waterproof Spin Face Brush: Waterproof design is ideal for using during shower time, which helps you enjoy the skin care products at home. 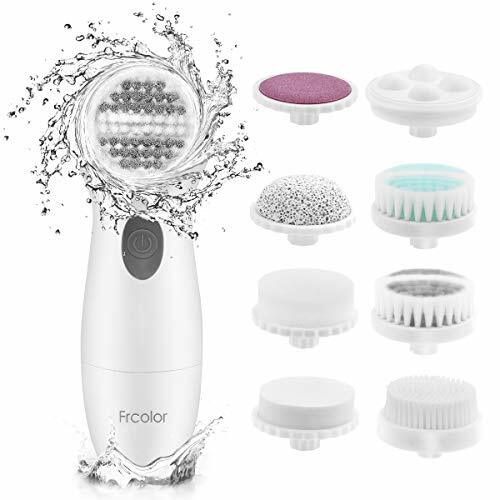 ❤️ Two Speed Mode Exfoliating Brush: Dual-speed lightweight spin brush can meet different cleansing needs, which is 220r/min and 270r/min. ❤️ Perfect Facial Cleansing System: The full range of cleansing heads is suitable for all skin types (oily/combination/normal/dry/sensitive). ❤️ Battery Powered Design Brush: Operates on 2 AA batteries (not included). INCLUDES: 360 Ultimate Blend with 3 brush heads for quick application and a perfectly blended finish. The Travel Perfecting Blender is designed to blend primer and foundation for flawless looking skin. 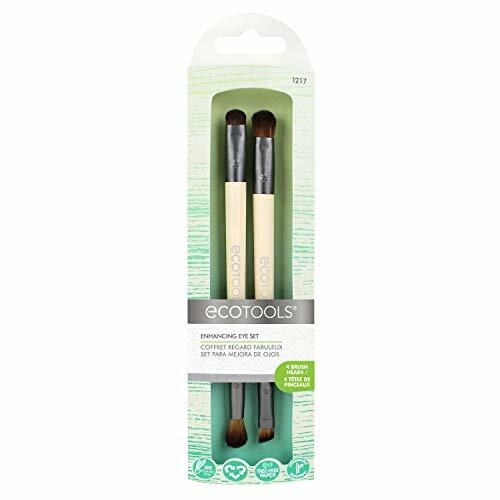 ECOTOOLS MAKEUP BRUSHES: Ecotools makeup brushes are soft, yet firm, allowing the bristles to pick up and distribute makeup evenly. Your makeup palette or eyeshadow palette deserve Ecotools. PUT YOUR BEST FACE FORWARD: Ecotools offers a full variety of high-quality makeup brushes and makeup sponges: blush, brow, blender, highlighter, lip, or concealer, we've got every beauty tool you need to put your best face forward. LOOK BEAUTIFUL, LIVE BEAUTIFULLY: From makeup brush to beauty blender to makeup sponge, we offer eco-friendly, high quality, affordable tools that make you look & feel beautiful. ECOTOOLS QUALITY: Try our high-quality, eco-friendly beauty tools if you've used brushes or sponges from elf, Uspicy, Shany, Artis, Bs Mall, Crown, Morphe, BH Cosmetics, Huda Beauty Kylie Jenner, Sephora, Japonesque, MAC, or Fenty Beauty by Rihanna. Recent Scientific research shows that kitchen and bathroom are actually potential bacteria-breeding grounds. Hidden in sponges and other traditional brushes, bacteria is rapidly gathering and growing. Therefore, this new-style silicone body brush is designed to replace traditional washing towel, which guarantees a healthy life for you. This is our 2nd generation shower brush over previous products, which should be defined as a multiple brush for your body, face or short hair wash. When you use it, you will find more advantages comparing with other similar products. Precise Grips Design: Three grips for your fingers to insert in. Their front end is designed with corresponding non-slip lines. Additional, there is a belt under these grips so that it will bind your hand back to make sure the brush fit your hand. It won't come loose from your hand. This design is ergonomic and in elegant appearance and bright colors. Food Grade Silicone Material: It is made of Eco-friendly Food Grade natural silicone material. It is BPA-free, FDA-approved, met with LFGB standard, the silicone material is acid resistance and can be used cooperatively with your shower gel or essential oils. Fit for all skin types of people especially for whom with sensitive skin. 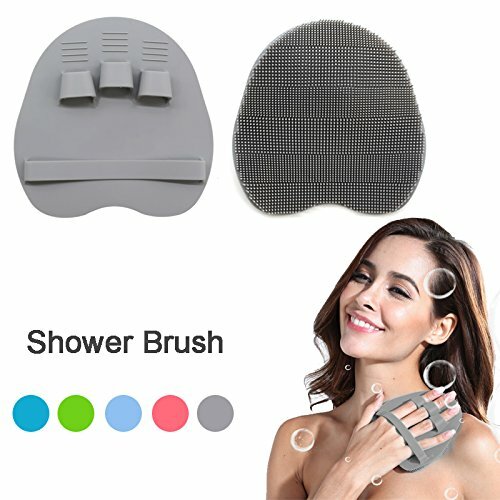 The brush will give you comfortable massage feeling when you use it to scrub your body--perfect to relax muscles, relieve stress, improve cellulite, promote blood circulation as well as increasing the elasticity of your skin. All ages use available. Friendly to sensitive or dry skin. A wise choice to select it as your bath partner. 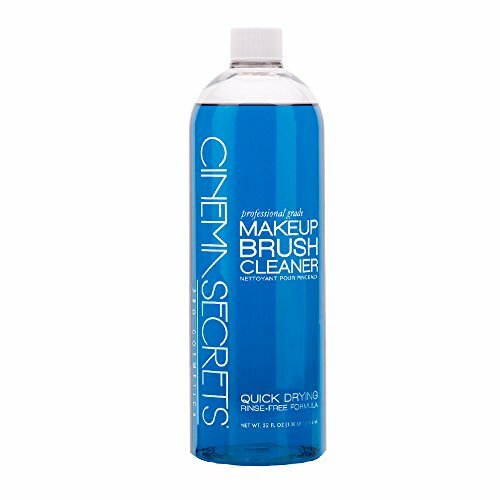 This quick drying rinse-free formula will clean, condition and deodorize both natural and synthetic makeup brushes, while leaving a pleasant vanilla scent. Our brush cleaner can also be used to remove all traces of wax, liquid and powder from spatulas, palettes, metal tools and implements. Kills 99.99% Bacteria with no water, no rinse and no down time. Trusted by professional Makeup Artists around the world for over 30 years. KEEP YOUR BRUSHES LIKE NEW: Clean brushes are the first defense against germs and acne-causing bacteria. 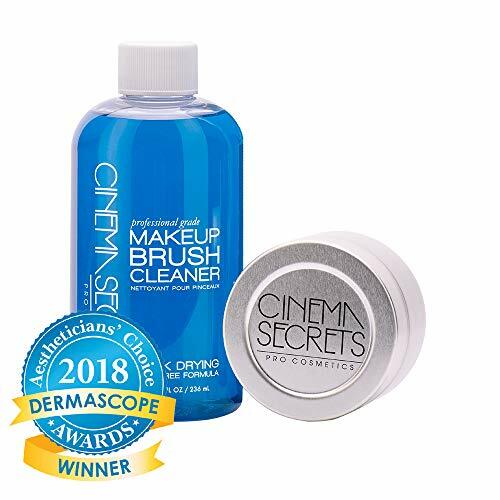 Cinema Secrets Makeup Brush Cleaner is a cult favorite and was created to instantly clean and condition an artist's most important tool. EXCELLENT EFFICIENCE: This quick drying rinse-free formula will clean, condition and deodorize both natural and synthetic makeup brushes, while leaving a pleasant vanilla scent. Our brush cleaner can also be used to remove all traces of wax, liquid and powder from spatulas, palettes, metal tools and implements. INSPIRED BY STRONG WOMEN: Our woman is on the hunt for the next promotion, gig, and adventure. She's determined to do it all from the break of dawn till the stars come out. It's late nights at the office and early morning call times. The world is her stage, and whatever role she plays, demands a beauty arsenal that works as persistently as she does. SHBC Compact Hard travel case" NO SMELL" Fits Oral-B Pro 1000 Power Rechargeable Electric Toothbrush Water proof carrying bag. 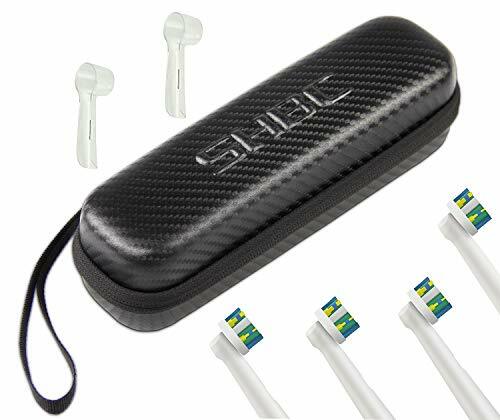 COMPACT- The new design of SHBC case fit your Oral-B Pro 1000 Power Rechargeable Electric Toothbrush. Prefect size (8 1/4" x 2 1/3" x 2 1/3") makes travel more convenient. DURABLE- Made with EVA material and DURABLE PU that is Light weight, shockproof and waterproof. Protect your favorite device from bumps dents and scratches. BONUS- We offer 4 count Oral-B Electric Toothbrush Replacement Brush Heads and 2 PSC Oral-B Replacement Brush Head Protection Cover，Keep Your Brush Protected For Better Health. WRIST HANDLE- Braided nylon Wrists design is easy to carry for travel， office，outdoors，hiking and home- CLICK the Orange button to Order Now! Professional Makeup Case: This makeup case is made of high quality oxford fabric and lining-nylon, waterproof and shockproof. 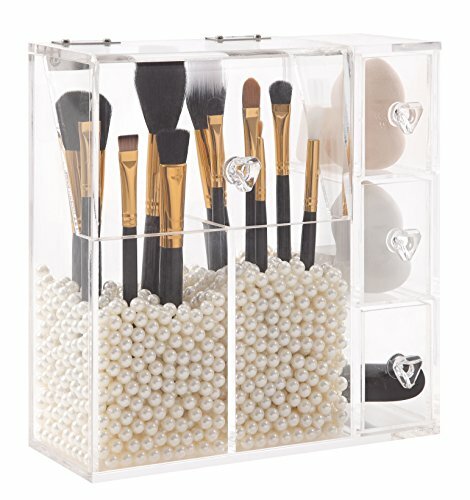 It have several compartments and makeup brushes slots. With special adjustable compartments, you can adjust as needed. A multifunctional makeup bag. Premium 10 Pcs Makeup Brushes Set: This makeup brushes made of high quality non-irritating bushy synthetic hair, high density, fine texture and soft touch. The set includes eye shadow brush, foundation brush, eyeliner brush, mascara brush, lip brush, concealer brush, eyebrow brush for daily use. Makeup Brush Cleaning Egg: This Makeup Brush Cleaner Made of High quality Soft silicone,not damage your brushes. Brilliant makeup brush cleaner help thoroughly clean all the brushes hair. 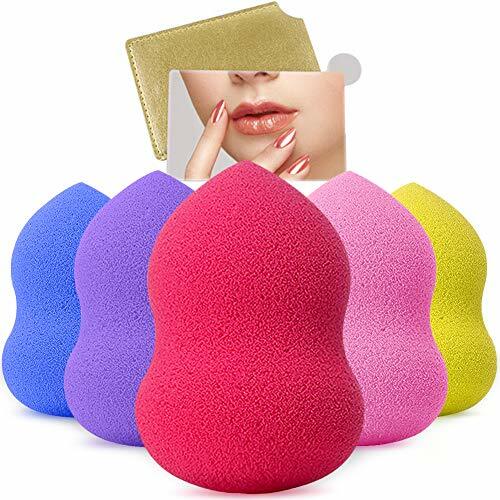 Makeup Blender Sponge: Best makeup sponges blender ensures makeup look perfect, perfect for blending, highlighting and contouring. Made of premium hydrophilic polyurethanes enable the sponges poreless surface while maintaining the mild softness texture. Olive Shape Sponge Makes blending faster and easier than other applicators. 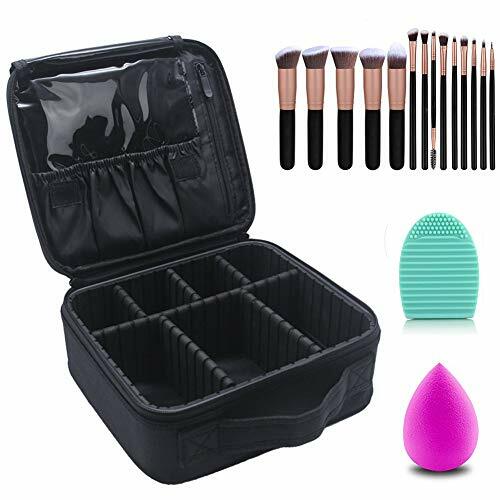 Package Include: 1*makeup train case, 10*premium makeup brushes, 1*makeup brush cleaning egg (random color), 1*makeup blending sponge (random color). 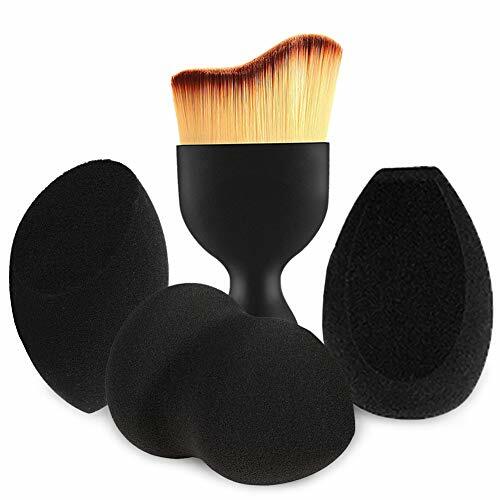 BEAUTY SPONGE BLENDER SET: Get ready for an airbrushed look and flawless application. 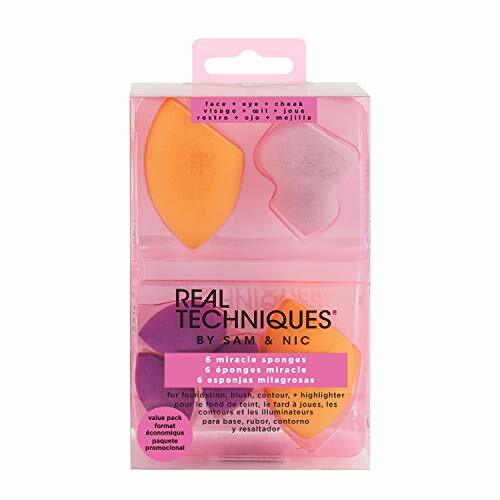 This 4pc mini makeup sponge set covers a full face, corrects any misshapes and adds color to your favorite features. MAKEUP SPONGE SET: Features 4 miracle sponges. Rounded sides blend large areas of the face, the tip covers blemishes &, and the flat edge is best for contouring around the eyes & nose. PROFESSIONAL MAKEUP BRUSHES: From foundation to liner our brushes & beauty sponges flawlessly apply primer, concealer, eyeshadow & more. Keep your brushes germ free & clean with our makeup brush & sponge cleansers. QUALITY MAKEUP APPLICATORS: We provide brushes for primer, concealer, foundation, color correction, highlight, contour & more. Look for some of our makeup brushes & sponges that're ideal for liquids, creams & powder. REAL TECHNIQUES: Launching in 2011, Real Techniques created cruelty free makeup brushes with you in mind. Goodbye basic eyeshadow applicators & fingers - hello high quality makeup brushes. Premium 14 Pcs Makeup Brushes Set: This makeup brushes made of high quality non-irritating bushy synthetic hair, high density, fine texture and soft touch. The set includes eye shadow brush, foundation brush, eyeliner brush, mascara brush, lip brush, concealer brush, eyebrow brush for daily use. Package Include: 1*makeup train case, 14*premium makeup brushes, 1*makeup brush cleaning egg (random color), 1*makeup blending sponge (random color). Wonderful Chrismas Gift to your wife, girlfriend, daughter, friend. 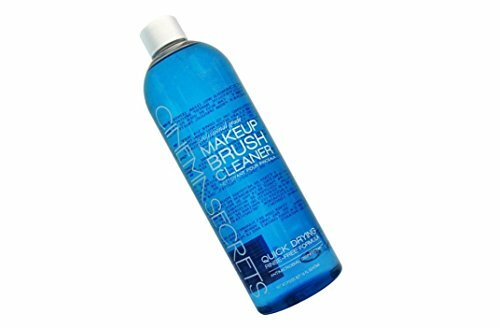 MAKEUP BRUSH CLEANER: This makeup brush shampoo cleanses your makeup brushes, applicators, and makeup sponges without leaving oily residue on the bristles. PARABEN FREE MAKEUP: The makeup brush cleansing shampoo is paraben-, phthalate-, & petroleum-free with no perfume or skin irritant. The hypoallergenic brush cleaner is made of plant-based ingredients. BAMBOO MAKEUP BRUSHES & PRODUCTS: Our cruelty free products are made from recycled aluminum & plastic with 20% cotton & 80% bamboo fibers. 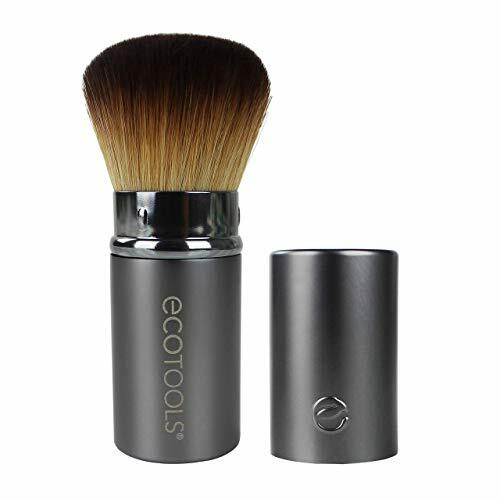 ECOTOOLS: We provide high quality, environmentally friendly makeup brushes, sponges, brush cleaners, spa products, face & body care products made of recycled aluminum & plastic with renweable bamboo. POWER OF BEAUTY: Aside from our quality cruelty free & vegan makeup products, we donate to Glamour's The Girl Project to support women's empowerment & for women to become the best version of themselves. EYESHADOW BRUSH SET: This makeup brush set is designed for easy cream, powder & liquid eyeshadow application. Use the base shadow brush for application, and the deluxe crease brush to smoothly blend colors. 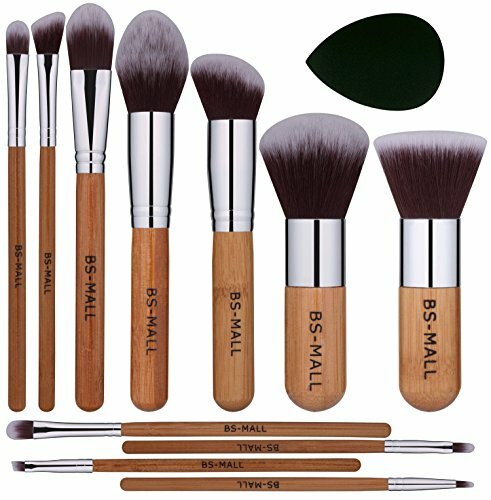 BRUSHES FOR MAKEUP: Quality makeup brushes are important and have been made popular by Real Technique, MUAs & other beauty gurus because they pick up & distribute liquid makeup, powder & creams more precisely. MIRACLE COMPLEXION SPONGE: Get ready for an airbrushed look and flawless application with this 2-piece makeup beauty sponge set covers a full face, corrects any misshapes and adds color to your favorite features. 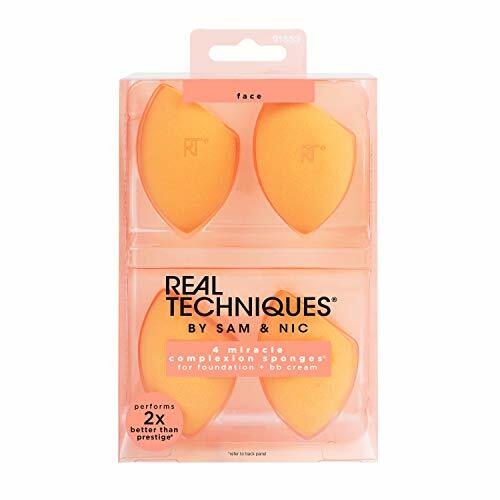 BLENDER SPONGE SET: Use rounded sides to blend large areas of the face with a dabbing motion; the precision tip covers blemishes and imperfections; use flat edge for contouring around the eyes and nose. EASY TO USE: Hold the sprayer 1 to 2 inches from brush and spray directly onto brush hair while rotating. Gently wipe the brush clean with a paper towel or cloth and repeat as necessary. Allow the makeup brush to dry completely before using. The perfect all-in-one facial care system! 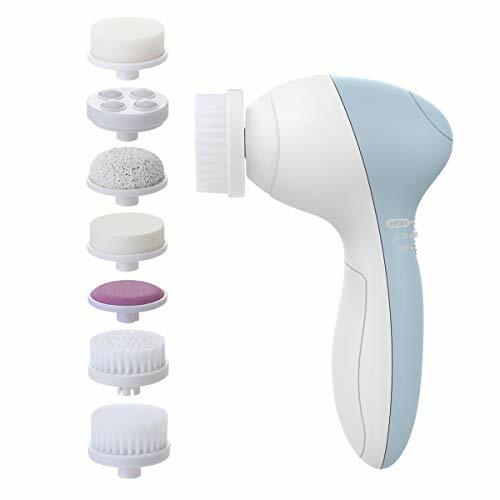 Includes seven different heads-a full range of cleansing brushes and sponges, exfoliating pads and massaging head. Water-resistant! No need to worry about water getting into the mechanism and ruining it when you use it in shower. This makes it easy to clean the heads: Just run them under warm water and allow to air-dry. For Cleansing & Remove Blackheads: Use one of the sponges to gently remove makeup and surface oils, or the short- or long-bristle brushes for deeper cleaning and mild exfoliation. For Exfoliating: Use the exfoliating head with your facial cleanser to deep clean and gently exfoliate. The pumice pad will remove calluses from feet and elbows. For Massaging: The rolling massager head will improve blood circulation and tone facial muscles for a fresh, youthful glow. For all skin types, normal, sensitive, dry, oily. For Men, Women, and Teens. Sensitive skin to consider using the slow speed. Professional quality! You can use it with any facial cleanser or essential oils. Enjoy spa-quality facial care in your own home and while you travel. Only 5.25 inches long and light in weight, this kit will take up little room in your bathroom or travel bag. A perfect valentines day gift for your loved ones. 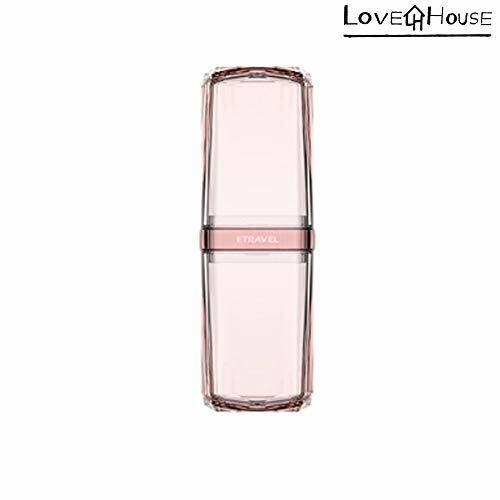 Designed to fulfills all daily basic makeup requirements. Buy with Confidence. 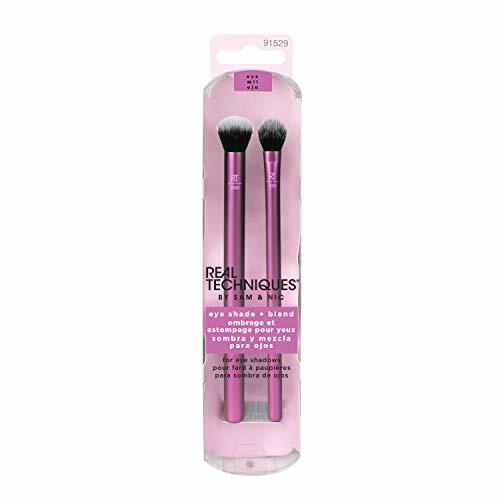 BS-MALL(TM) Synthetic Kabuki Makeup Brush Set-Amazing Quality & Great Price& High level after-sale service! 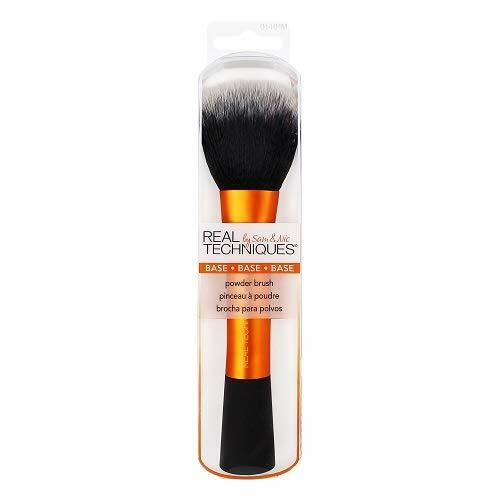 RETRACTABLE KABUKI BRUSH: With soft cruelty-free synthetic bristles, this versatile makeup brush is the perfect travel size & is best with powders & bronzers. 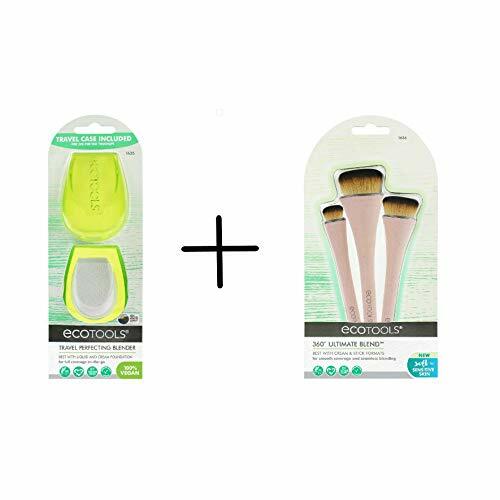 MAKEUP BRUSHES: Whether they're travel size makeup brushes, eye makeup brushes, foundation brushes or big brushes, the EcoTools makeup brushes flawlessly help apply products to your face. DUO EYE MAKEUP BRUSH SET: These two eyeshadow and eyeliner brushes feature dual ends to shade, define, blend & smudge makeup to your desired style. 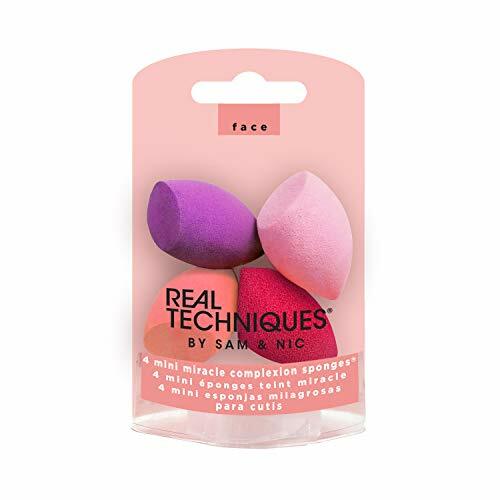 MIRACLE COMPLEXION SPONGE: Get ready for an airbrushed look and flawless application with this 4-piece makeup beauty sponge set covers a full face, corrects any misshapes and adds color to your favorite features. 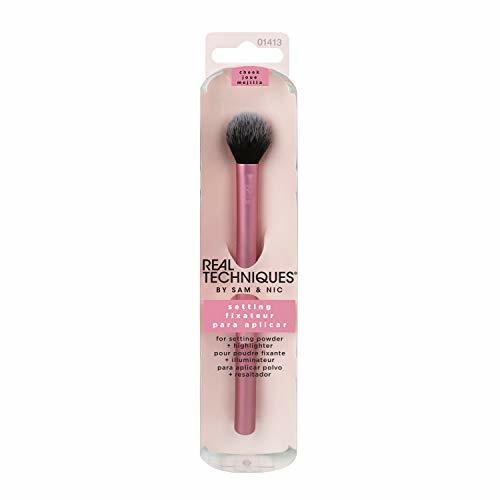 SETTING POWDER BRUSH: Help lock in foundation and concealer with setting powder thanks to this setting brush that works perfectly for highlighting & contouring your cheeks. Works with creams & powders. POWDER & BRONZER BRUSH: A little dusting goes a long way with this powder brush featuring super soft bristles that work best with powder and mineral foundations, bronzers & blushes. 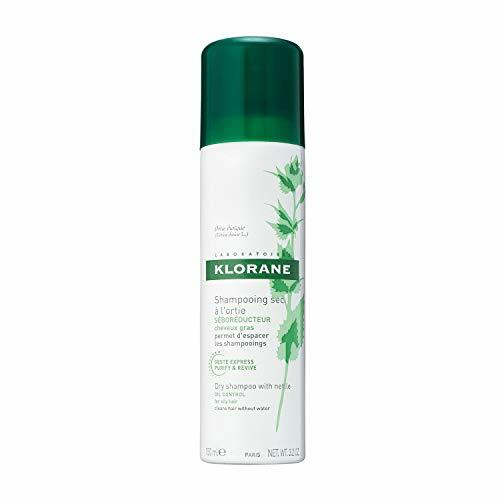 Klorane Dry Shampoo with Nettle for Oily Hair and Scalp, Regulates Oil Production, Paraben & Sulfate-Free, 3.2 oz. Proven effectiveness: KLORANE Dry seboregulating shampoo with nettle extract was appreciated by 86% of users for its ability to regulate sebum secretion on the scalp. Application: Shake well before use then uniformly spray a small amount over the hair at a distance of 12 inches. Leave for 2 minutes then brush thoroughly to remove all traces of powder residue. Avoid inhalation and contact with the eyes. KLORANE Dry seboregulating shampoo with nettle extract can be used as frequently as necessary. 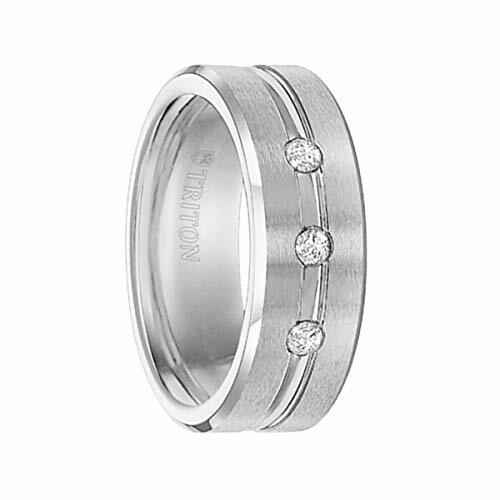 Presenting an impressive outstanding wedding band by Cobalt Bevel Edge Brush Finish comfort fit Triple Diamond band with bright center horizontal cut featuring exclusive designs that can't go unnoticed! This highly demanded Cobalt Bevel Edge Brush Finish comfort fit Triple Diamond band with bright center horizontal cut is available in a 8mm width which is ideal for mens wedding bands! MATERIAL: Soft straw fabric,it very convenient to foldable and packable in you bag for travel. SIZE:One size fit all most women. Hat Circumference 22.5" ; Brim 2.9" ; UPF 50+ Sun Protection. Please Do Not Machine Wash or Brush Wash. 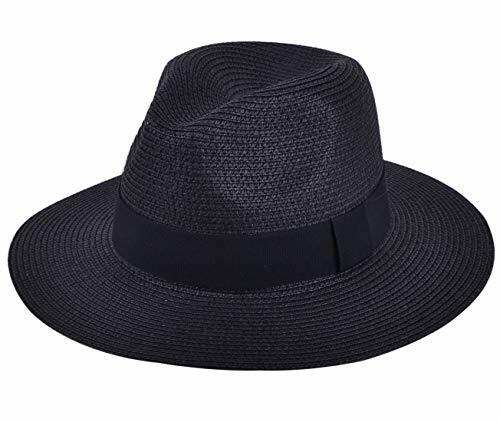 PRACTICAL:This floppy straw hat size is about 22 1/2 inches (7 1/8 Hat size), fits most ladies heads. Tightly woven for the quality and durability; Breathable and helps keep you cool in the sun; Shade your face and the back of your neck, Bring you unprecedented feelings and beauty. FOLDABLE:High quality materials and craftsmanship, lovely and beautiful floppy brim can be worn folded up or down in various cute styles while still maintaining its shape,also it can be easily carried inside your handbag or beach tote, PACKABLE and Super convenient to carry and Absolutely save lots of space. OCCASION:A wonderful hat for wearing while gardening, at the beach, pool, park, camping, hiking, church functions, race day events, even out in your own back yard Or any outdoor activities. Dress up with this elegant floppy Hat,let's go out for fun. VOLUMING IN 1 SECOND - The oil with high refractive index and the strong moisturizing oil are applied instantly, giving a bold volume feeling while spreading the wrinkles. 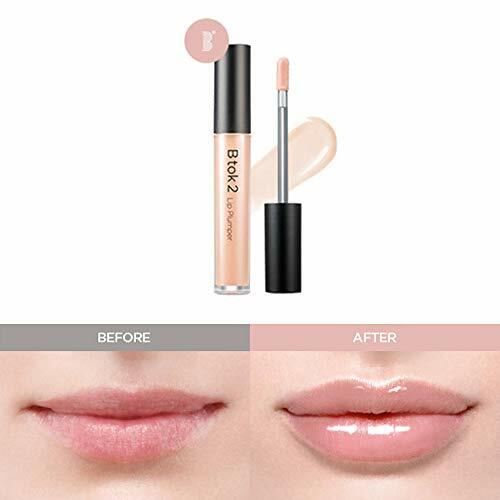 GLITTERING GLASSY BRILLIANCE - Contains botanical oils to smooth the wrinkles and keratin of the lips to make your lips look moist and healthy. The natural coloring that saves the lips of the lips, and you experience incredible colors that can be lighted without lighting. RICH COLORING ALL DAY LONG - It is equipped with a solid and smooth brush that adds soft touch to your lips. It also boasts a rich color and sustainability even under sunlight and under indoor lighting. 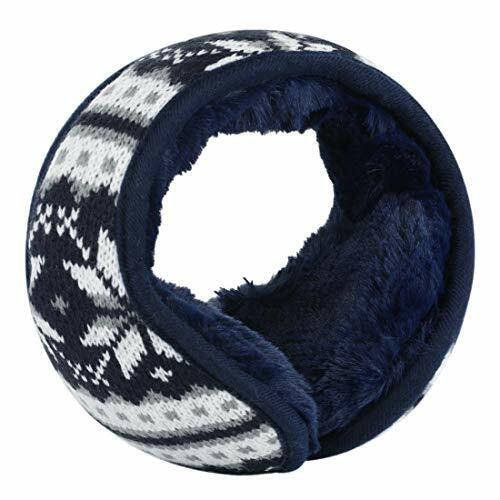 uxcell Warm Foldable Winter Knit Earmuffs for Women Men Navy Blue-1 M(17.3"x4.7"
Remove Years of Stains - Our professional teeth whitening pen contains 35% Carbamide Peroxide, a safe form of peroxide, to effectively and quickly remove years of stains caused by coffee, tea, wine, smoking, soda and more. Its natural mint flavor will keep your mouth feeling fresh! Convenient & Travel-Friendly - The compact design measured at 5" makes it so easy to whiten your teeth on the go, at any time and any place. 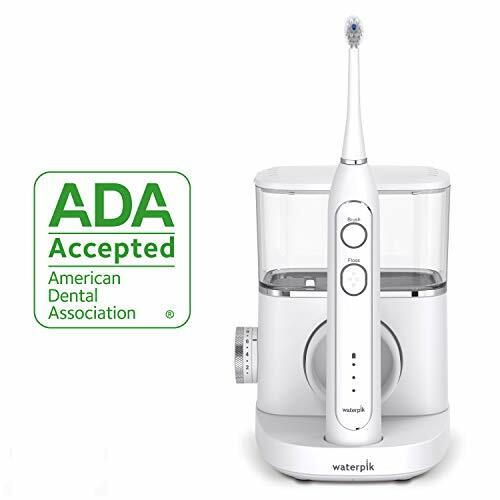 The pen device features a durable twist mechanism with a soft brush tip that gently paints each tooth and its crevices for a complete whitening experience. The transparent tube allows you see exactly how much product is left. 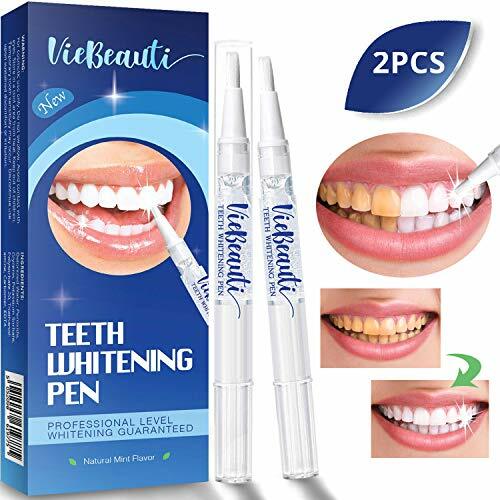 Safe & Gentle for Daily Use - This teeth whitening pen is ultra safe and provides fast results with just 1 minute of daily use! The pen contains 20+ uses and with consecutive use, teeth can become 4-8 shades whiter. Professional Quality & Affordable - Our whitening pen is the perfect at-home solution for premium quality whitening without any sensitivity. There is no need to visit the dentist for expensive and harsh chemical whitening treatments. 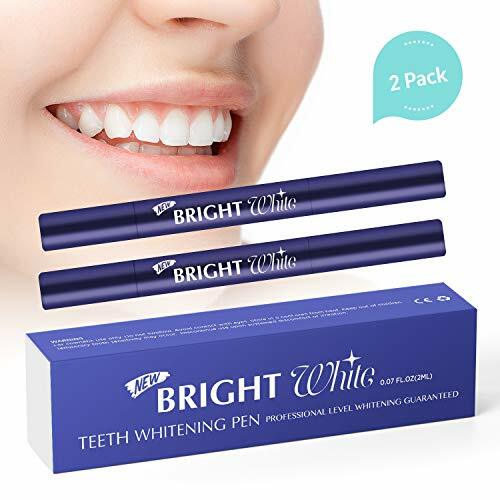 Money back - for any reason you are not satisfied with this teeth whitening pen, please let us know and we'll instantly refund 100% of your money!